HAPPY NEW YEAR! We hope 2019 is treating everyone well so far! A new year means new resolutions, and sticking to them is often easier said than done. By the time the holidays were over, I personally had eaten enough junk for a lifetime, and I was craving anything and everything green. No vegetable was safe, but then…enter Girl Scout cookies. 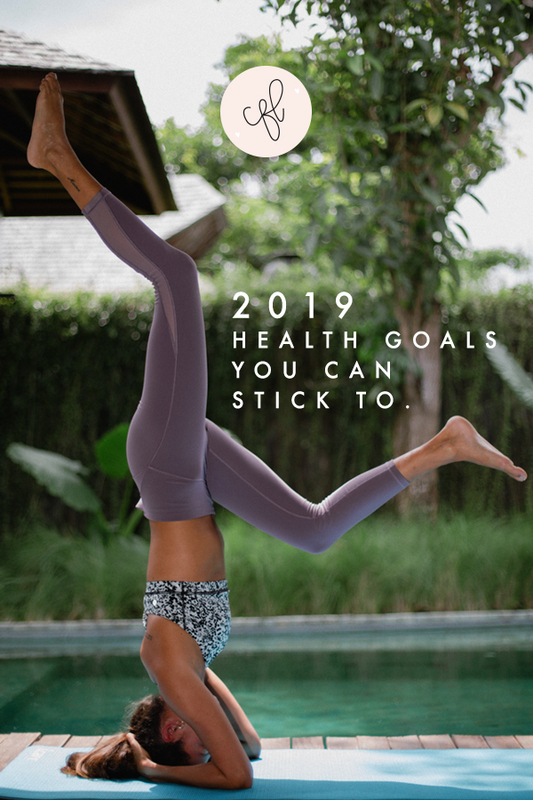 No less than three weeks into the new year, temptations are back in full force, and I realized I needed a better strategy for staying on track with my health and fitness goals. 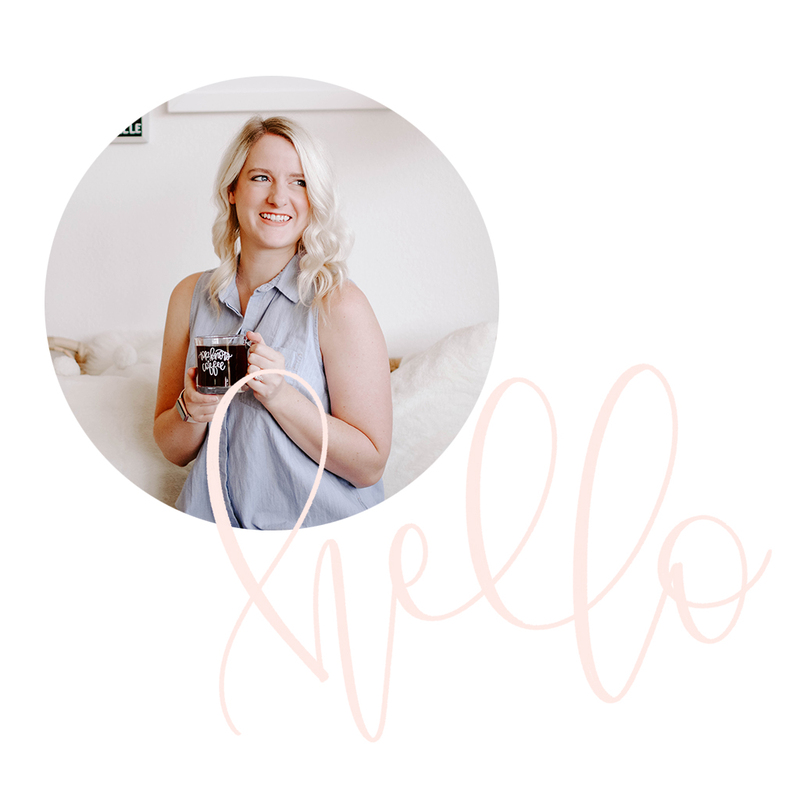 So I’ve compiled a list of simple things I’m going to be doing to maintain my health goals, while keeping it fun in the process, and I hope they are helpful to you also! The recommended water intake for a healthy adult is half your body weight in ounces. I can tell you now that I do not drink that much water on a daily basis. I know drinking more water does wonders for your skin & metabolism, but sometimes its just a struggle. I recently downloaded an app called Plant Nanny, where the goal is to keep your virtual plant alive by drinking more water and it’s actually pretty motivating to make me drink more water (not to mention adorable)! I also found that a new water bottle does wonders for keeping me hydrated and I will say our “Living My Best Life” tumbler is a personal favorite. We have a deep love for coffee at CFL, so you won’t hear us telling you to give it up! However, I have been making small changes to what I add to my coffee to make it a little more “healthy”. First, I’ve started reading the labels on my creamer and choosing one with less sugar. Don’t get me wrong. The Coffee-mate Italian Sweet Creme creamer is my guilty pleasure, full stop. But I definitely feel better when I use creamers that don’t contain lots of extra filler ingredients. My current favorite is the SO Delicious coconut milk-based hazelnut creamer. Another small thing I like to do is add collagen (so hot right now) to my coffee! Choose Fruit over sweet treats! We’re always in full support of a little indulgence and satisfying a sweet tooth, but I’ve been trying to grab some fruit instead of that cookie if I’m in the mood for a little evening dessert. My sweet treat of choice has been 1/2 cup of raspberries mixed with some cacao nibs! Schedule walking dates with friends! Getting in exercise is always more fun with friends, so instead of happy hour, I’ve started scheduling a time to go on a walk! Whether you’re walking downtown during your lunch break or strolling around the park on the weekend, you’ll be staying active while also getting in some quality time with a friend. Also, while you’re with them, go ahead and schedule your next walk, and make it a habit together! My goal is to start following along with short yoga videos on YouTube as part of my nighttime routine in order to stretch my body and help my mind to settle down after a long day. I also know some friends who use a sleep meditation app (like Headspace) to help them wind down with some guided meditation. I’m super excited to incorporate these simple things into my plan to help me maintain a healthy lifestyle this year! It doesn’t have to be complicated! Find simple things that help make the process enjoyable for you, and don’t be too hard on yourself. We hope you crush your 2019 goals! You’ve got this!